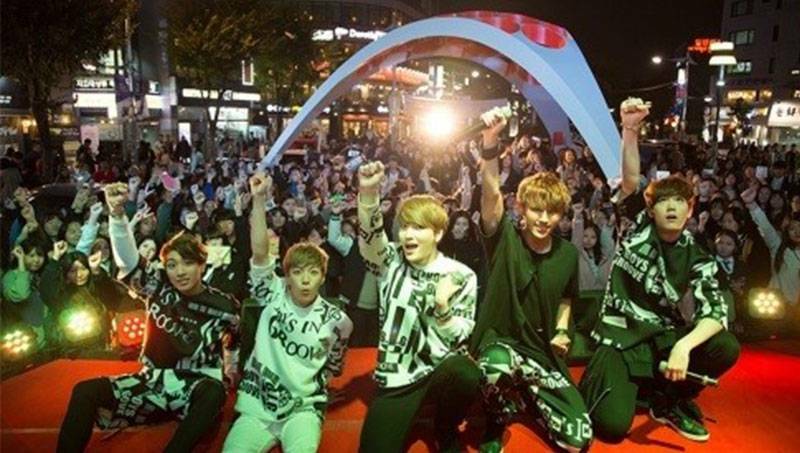 B.I.G hold surprise guerrilla performances on the streets of Seoul! The boys of�B.I.G�put on a unique promotional event with surprise guerrilla performances in Seoul with their latest single "Are You Ready?". On October 31, B.I.G grabbed the attention of onlookers in Myeongdong, Hongdae, and Ildae with their surprise performance of "Hello" and covers of Taeyang's "Ringa Linga" as well as G-Dragon's "Who You". In addition to the eye-catching performances, the youngest member of B.I.G, Heedo, who is also making his way was an actor, acted out a proposal and kiss scene with a female audience member, getting applause from the crowd. Leader JHoon said at the guerrilla concert, "Like our song 'Are You Ready? ', we will practice so that we can always be prepared to give our everything in front of our fans. 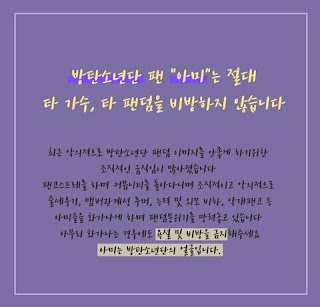 We will be revealing our never-before-seen charms, so please love and support B.I.G as well as our song, 'Are You Ready?'." The group also made sure to thank fans on Twitter. 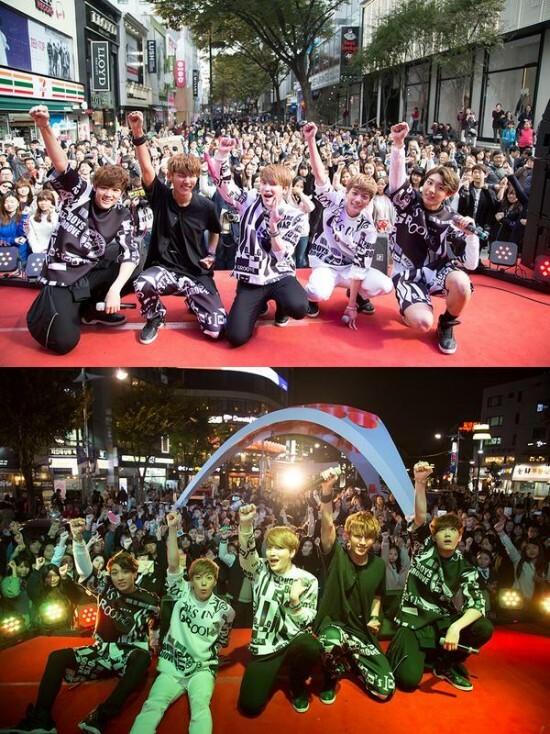 On November 2, they posted: "Because of the fans who cheered us on, the guerilla concerts ended successfully. ^^ B.I.G will work even harder from now on. Are you ready to give us your unchanging love?"